Titan Company Limited is a joint venture between the Tata Group and the Tamil Nadu Industrial Development Corporation that commenced operations in 1984 under the name Titan Watches Limited. 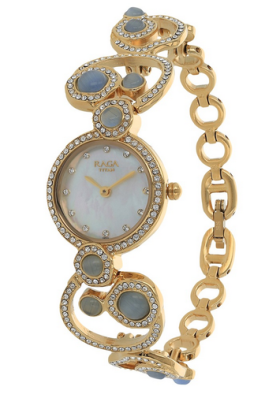 Now buy Mother of Pearl Analog watches for women by Titan online e-store. Get Flat 50% discount on this beautiful embellished bracelet watch. It comes with 24 months warranty. Cash on delivery and easy 7 Days return policy available. 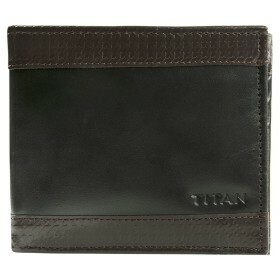 Buy pure leather Titan brown wallet from Titan.com. Properly finish form top and highly sealed, it has 3 slip pockets, 6 ID slots, a coin pocket, 2 bill compartments, and 2 secret pockets. All users are valid to avail the offer. It comes with a 6 month warranty period.